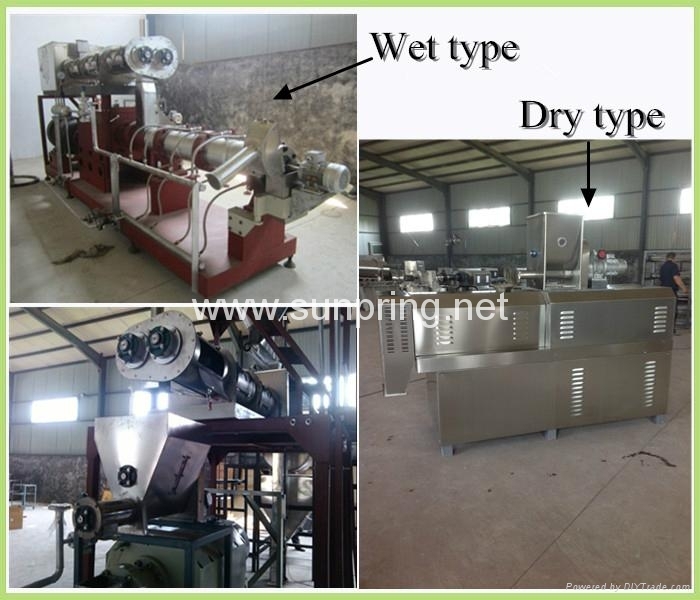 Fish food production line use steam extruder is for high protein content and big capacity. The pet food is close to the human beings food in the fine level, the health index and the nutritional ingredients,some of them request more highly than human beings. In extruder, the ingredients are cooked under intense heat and pressure as it moves toward the open end of the extruder where ingredients pass through a shaping die and knife. Dog food is dried in a multi-pass dryer until its moisture content is low enough to make it shelf stable. Dog food may pass throughcoatingdrum where animal fat and vitamins are applied onto dog food. A. 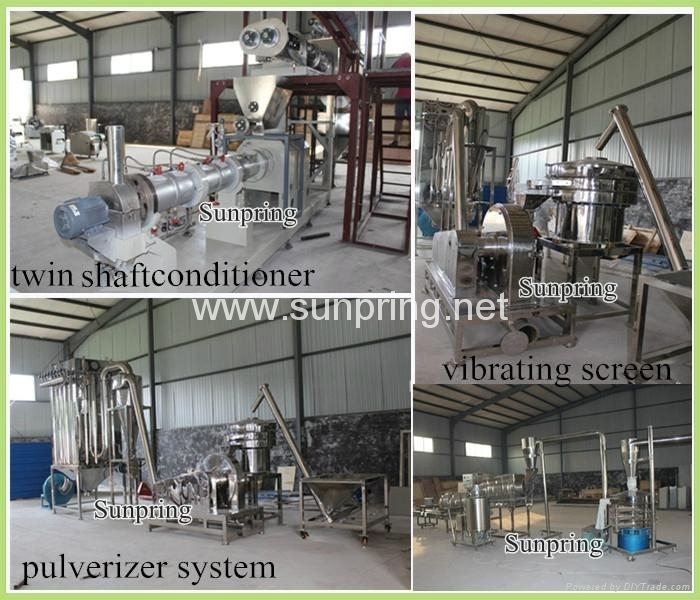 Steam Extruder for Fish Food Production Line a. Big capacity feeding hopper, variable frequency speed, two stages mixing wings, fast and efficient mixing and feeding.